At First Baptist Church we love children! 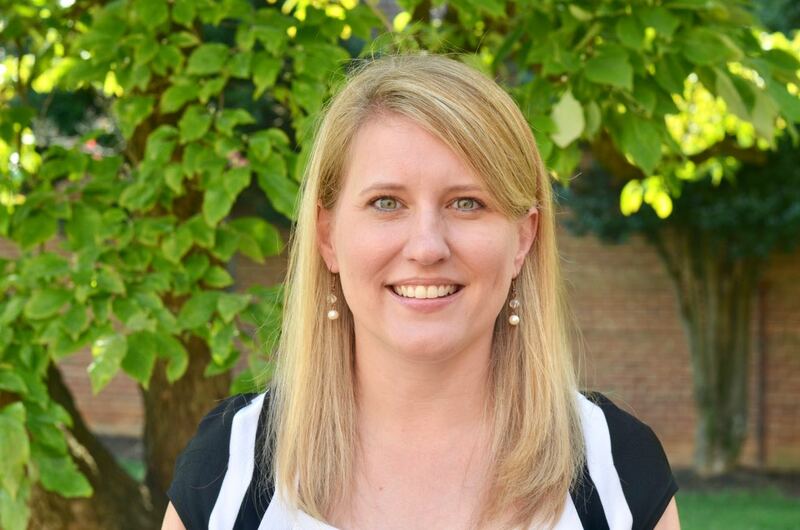 We believe that children's ministry is of the upmost importance. We invite you to come see! We want every child to know that Jesus loves him or her, and we want to help them grow in their faith for the rest of their lives. 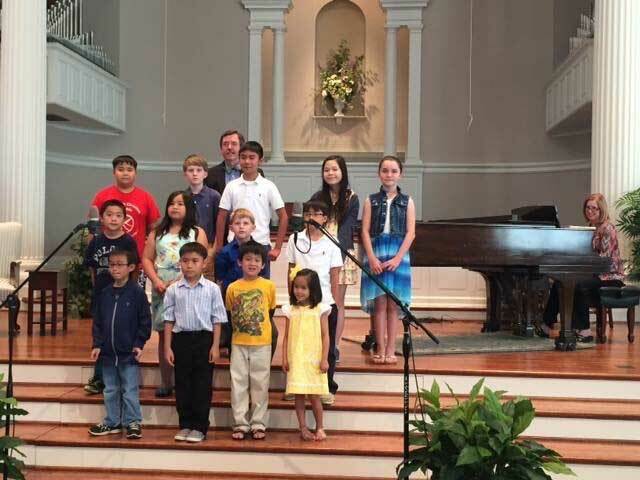 At First Baptist, children are active participants in worship. Opportunities to participate in worship include greeting, serving as an acolyte, singing in the children’s choir, speaking, praying, reading scripture, leading responsive readings, taking part in a litany, receiving the offering, sharing, musical, dance or dramatic gifts. At First Baptist we put into practice what Jesus taught in Mark 10:14-15. Jesus said, "Let the children come to me, and do not hinder them, for the kingdom of God belongs to such as these. Truly I tell you, anyone who will not receive the kingdom of God like a little child will never enter it.." We believe that children should be included in our worship services. One way that we help children learn and get more out of their worship experience is by offering a Worship Bag. 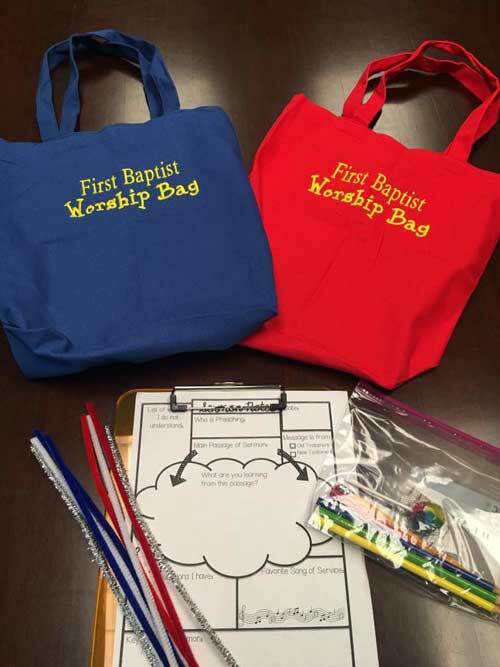 These bags include a clipboard and notes where children can write or draw their observations of what they see and hear during worship. The bags also include quiet activities to inspire creativity. A sweet treat is also included! Children benefit greatly from worshipping with their church family, and we hope our Worship Bags are a fun addition a worship experience that will make each child feel welcomed and loved. 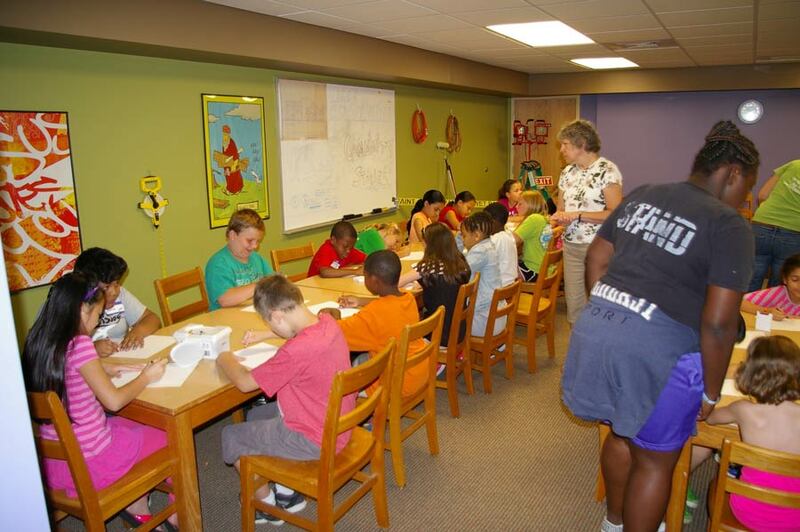 In addition to the Worship Bag on each Third Thursday we offer Children's Church. 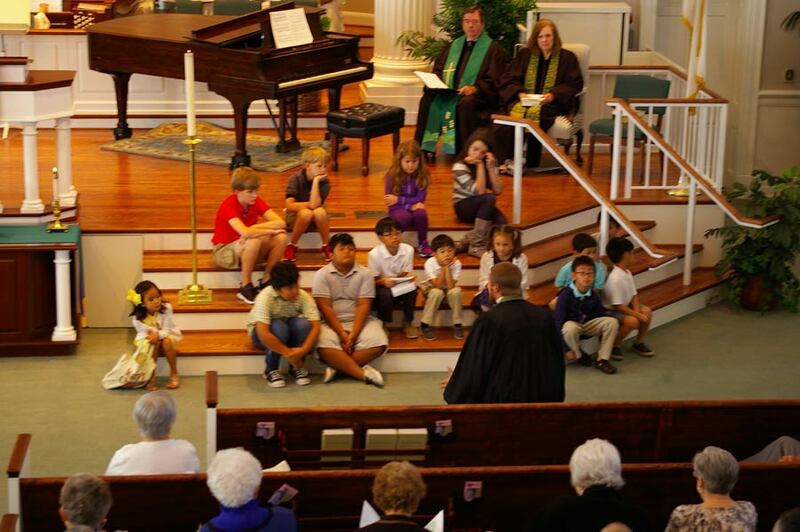 Children in 4K through second grade will attend the first part of the worship service in the sanctuary. After the children's message, children will then be invited to the Children's Theatre for Children's Church. Families are always welcomed to our Wednesday Night Family Night Suppers where children eat free. During the school year a music and missions program is offered after our meal. 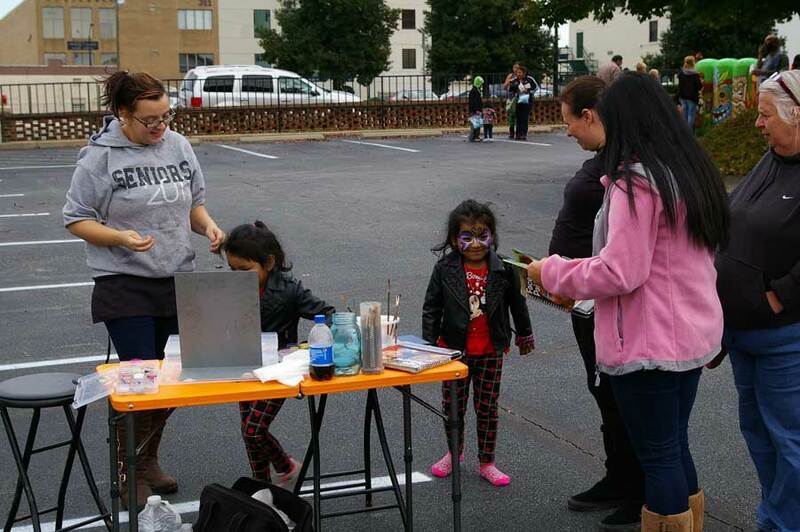 Family outings, camps and other opportunities for fellowship are scheduled throughout the year, including Vacation Bible School, City Lake Park Picnics, Blessing of the Backpacks and our Fall Family Festival.